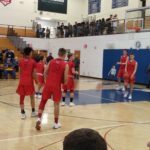 Ishpeming, MI – Tuesday, January 15th, 2019 – The Marquette Redmen faced the Ishpeming Hematites Tuesday night in Ishpeming where they lost 64-59 in an exciting double-overtime game. Jacob Ogea was in Ishpeming to bring all of the live action to the air. 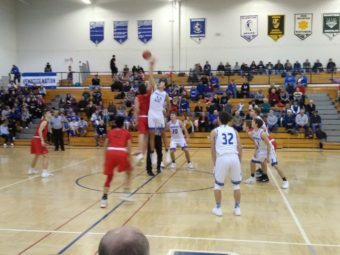 The Redmen won the tip-off and scored the first basket to kick off the game. 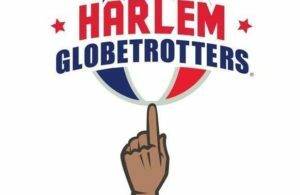 However, the Hematites quickly answered with a few baskets of their own, gaining an early 11-2 lead. The Hematites continued to score, scoring 17 points in the first. Marquette had a little bit of a comeback towards the end of the quarter, scoring 10 points total. Ishpeming took the 17-10 lead going into the second. The second quarter was a tough one for the Redmen. Ishpeming started aggressively, bringing their score to 20 points right away. Marquette then went on to score a few more points, bringing Ishpeming’s lead to only 10 points at a score of 24-14. 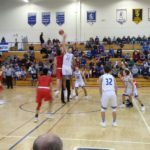 The Hematites went on to score five more points and the Redmen were unable to get back on the board, bringing the score to a 29-14 Ishpeming lead going into halftime. The Hematites had control of the ball to begin the third. 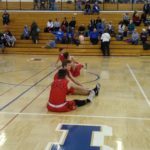 The quarter was filled with turnovers from the Redmen to the Hematites, with Ishpeming getting as much as a 40-20 lead. However, towards the end of the third, Marquette closed the gap a little bit, bringing the score to 43-28 with Ishpeming leading into the fourth. The Redmen cleaned up their defense significantly during the fourth. 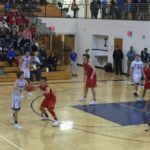 The Redmen really soared off of a swing in momentum, closing the lead midway through the quarter to 45-38, with Ishpeming ahead. The Redmen just kept on closing in on the Hematites, eventually tying them 50-50! The game then went on into overtime. What a comeback from the Redmen! The game ended up going into not one, but two overtime periods. The first quarter was uneventful; both teams only scored four points, bringing the score to 54-54 going into the second overtime quarter. 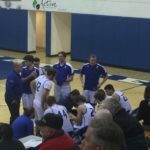 The second overtime was filled with fouls, free throws, and anxiety as the score constantly remained dangerously close. Ishpeming ended up getting free throws at the end, bringing the final score to a 64-59 Hematites victory. 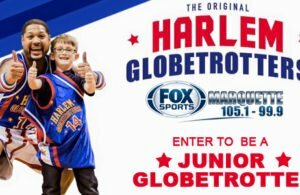 Listen to next game Tuesday January 22nd, 2019 at 7:15pm as the Marquette Redmen take on the Houghton Gremlins in Houghton. Also, shout-out to Marquette’s, Drew Wyble, MI Internet Company’s Player of the Game. Great job! The Hematites huddle during a time out. A Hematite looks for someone to pass to. The Redmen huddle during a time out. 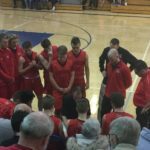 The Redmen lost to the Hematites, 64-59, in double overtime. The Redmen warm-up before the game.